Last edited by Vatche; 06-07-2018 at 04:45 PM..
What brand are the inner tie rods? I'm looking for front and rear S14 oem bumpers and trunk lid. Let me know, I need shipped to 20005.
looking for some mint 96 s14 door panels shipped to 37355. pm me thanks. interested in the clutch...how much shipped to 33936? Let's see if you have this!.... looking for an IACV for S13 dual cam!??!! AaaaaHhhaaa! How much for manual side mirrors? I need them to be the standard black, nothing painted in any other color. Plus... all the plastic clips and screws that hold in the plastic pieces that go by the door, over the carpet. I'm talking about the things that basically sit on the top sides of the rocker panels. post #10 nothing to see here. Last edited by Vatche; 04-05-2016 at 03:50 PM..
Sup , still got both Left and Right Chuki fenders ? it is a welded diff that came with a car i bought, i have no idea what process they used. let me know if you want it. Do you have a S13 interior fuse panel cover, a cigrette lighter, and a power mirror controller for the console? wow i wish i were local for this. pretty hard to ship a door i would think. Willing to buy open diff ....still there ?? Im interested in that nrg slim adapter hub, but theres no way im paying $100 for it. Thats cool man. I listed it for 100$ obo and have had 4 people pm about it. So theres no way im gonna give parts away. I set a price based on what they go for new and what people sell them for used. If you dont like the price dont be interested in the item haha. Its obo anyway man. Anyway its also pending to 4 people before you. Interested in S13 interior. Preferably black. Looking for pillars, door skins, console and dash (upper/lower). Also need a headliner. Trying to replace the blue factory interior and clean up the scheme. I'm local, will pick up. What year is that s14 window switch from? Would you happen to have a clean s14 bottom trunk carpet and spare tire cover? Find More Posts by TONKA TOY! 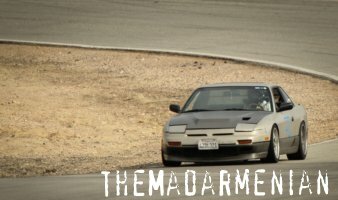 possibly want that s14 cluster.